Thank you for choosing Swartz Electric! We are your Colorado Springs Electrician and Colorado Springs Electrical Contractor specializing in Residential & Commercial electrical work. Call Swartz Electric: your Colorado Springs Electrician today! (719) 457-2218 Here are 5 reasons why you should use Swartz Electric: 1. We have the highest ratings & reviews of any electrical contractor in Colorado Springs. 2. We are licensed and insured to perform electrical work throughout Colorado. 3. All of our electricians have passed background screening and drug testing. 4. We provide you with a lifetime workmanship warranty and 2 year material warranty. 5. We provide 24 hour emergency service. Working one on one with homeowners, Windward helps recharge and energize living spaces. From basements, to home automation, to solar PV and back up generators-call the professionals at Windward for all your electrical needs. 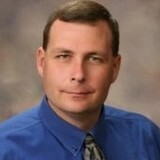 Greg Stephens has 35 years of electrical experience and holds Master Electrician designation with the state of Colorado. Combine with his Engineering degree and you have a strong consulting partner for your next project. Mesa Electric started in Greg's personal garage in 1997 and has grown to be one of Colorado's most trusted electrical contractors. 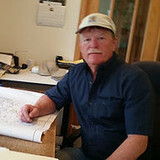 Greg prides himself on staying personally involved in every project by consulting with homeowners and the builder while sharing his expertise. Our team of professionals are constantly improving their skills in new technologies in order to provide our customers with state of the art workmanship. 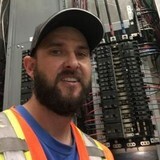 Greg and his team have continuous communication with customers from start to well after a project is finished. Impeccable Electric and Lighting, Inc.
William Tell Electric is a Denver Metro based company focused on delivering the project and results you had in mind! William Tell Electric, LLC, is committed to excellence in every aspect of our business. We uphold a standard of integrity bound by fairness, honesty, and personal responsibility. Our distinction is the quality of service we bring to our customers. Accurate knowledge of our trade combined with the ability is what makes us true professionals. Above all, we are watchful of our customers' interests, and make their concerns the basis of our business. We have served both homeowners and business owners since 1994. The many great reviews our customers have given us help provide the passion and drive for excellence our team of professionals deliver to our customers daily. Fully licensed and insured electrical and audio/video contractor. Award-winning electrician based in Littleton and serving the Denver Metro Area. Multiple BBB Gold Star Award Winner, 2013 - 2017 Angie's List Super Service Award Winner,Angie's List Honor Roll Electrician Electric Doctor offers residential and commercial electrical service and repair. Fully licensed/insured, family owned and operated since 1995. Providing excellent service since before in 1996, we have always focused delivering great customer service, high quality labor, and terrific prices. We are family owned and operated, you can trust knowing that when you call us for your electrical needs we will deliver expertise knowledge at a family cost to you. There isn't a job too big or too small we won't help you complete. Fast, affordable electrical repairs, installation, and lighting since 1969. Serving the Denver Metro and Front Range communities with quality electrical service. Fully licensed and insured. Offering residential electrical services and commercial electrical services. No job is too small! We work hard to deliver the very best quality repairs and installations and our work is guaranteed. We provide electrical services including repairs, installations, and upgrades for commercial and residential customers. We can help you with new electrical outlets, lighting, fixture wiring, ceiling fan installs, washer and dryer wiring even outdoor landscape wiring. When someone asks for a referral to a punctual, professional Castle Rock, CO, electrician, they’re often told to call Genesis 1:3 Electric. Our many happy clients know we’re committed to providing excellent customer service as a reliable, locally owned and operated firm. Genesis 1:3 electricians provide expert electrical installation and electrical repair services. No job is too small! We work hard to deliver the very best quality repairs and installations and our work is guaranteed. ABOUT Rodgers Electric LLC has always operated under strong values aimed at exceeding client needs. Our communication channels are always open—our relationship with our clients begins on the first day of contact, and only ends once they’re fully satisfied with our work. When you hire our services, you can count on us for the results you want and need. Get in touch today, and discover the advantage of working with Rodgers Electric LLC. White Lighting Design, Inc. was established in 1987 for one very clear purpose; to enhance dreams and to help them become reality through the art and science of lighting. An award winning international design and consulting firm, we are recognized for working with our clients, their architects and designers to help create spaces that reflect their tastes and meet the demands of their lifestyle. By listening, and performing as a team, we ensure that any given space can be transformed from a casual setting, to formal, to the dramatic, all with the touch of a button. In staying abreast of the latest products in an ever-changing industry, we are able to incorporate the most functional and efficient architectural lighting fixtures, dimming control and automation systems. We work hand in hand with the Architect, Builder, Interior Designer, and Electric Contractor, and pride ourselves on solving problems before they appear. While we most often find ourselves working on projects in the resort areas of Colorado, Wyoming and Arizona, we have also been called upon to illuminate penthouses in New York, as well as Oceanside villas in Acapulco and Hauntulco, Mexico. From rustic cabins in Jackson Hole, a castle in Greenwich, to palaces in the Middle East. Having just recently completed another of several projects in the Caribbean, our projects continue to cover a wide range of architecture and design. Bright Touch Electric, LLC, is a locally operated and owned electrical contracting company that has been providing superior service to the Denver and surrounding areas and has a proven track record of happy customers. Each and every one of our clients is very important to us, so each project large or small gets our full and undivided attention and effort. Please don't hesitate to give us a call for a free estimate. What do licensed Highlands Ranch electricians do? An electrical contractor plans, installs and repairs wiring in structures. He or she works closely with the home’s general contractor or remodeling contractor to determine the specific electrical needs for the project and to ensure that the wiring will meet Highlands Ranch, CO building codes. An electrical contractor’s job also includes installing and repairing fixtures, switches and other visible components of electrical systems. With today’s technological needs and advances, many electricians in Highlands Ranch, CO also are trained to install fiber optic and coaxial cables for electronic equipment. Certain electrical companies may design and install data systems and wire for security features such as alarms too. Some Highlands Ranch electrical contractors specialize in specific areas, such as HVAC, low-voltage appliances and systems and more, so be sure to ask about their training to see if it fits your project needs. Find a certified Highlands Ranch electrician on Houzz. Narrow your search in the Professionals section of the website to Highlands Ranch, CO electrical contractors. Here are some related professionals and vendors to complement the work of electricians: Lighting Showrooms & Sales, General Contractors, Solar Energy Contractors, Heating & Cooling Sales & Repair.